"Tense, thrilling, and scary as hell"
Released on Blu-ray and DVD this week is the Sundance hit turned Oscar darling, Whiplash. While it missed awards for the top categories, J.K. Simmons took a statue home for his turn as the overbearing jazz conductor, Terence Fletcher; Tom Cross nabbed one for his flashy editing; and Craig Mann, Ben Wilkins, and Thomas Curley were honored for their achievement in sound mixing. Loud, demanding, and full of brooding intensity, Damien Chazelle's debut feature is magnificent. 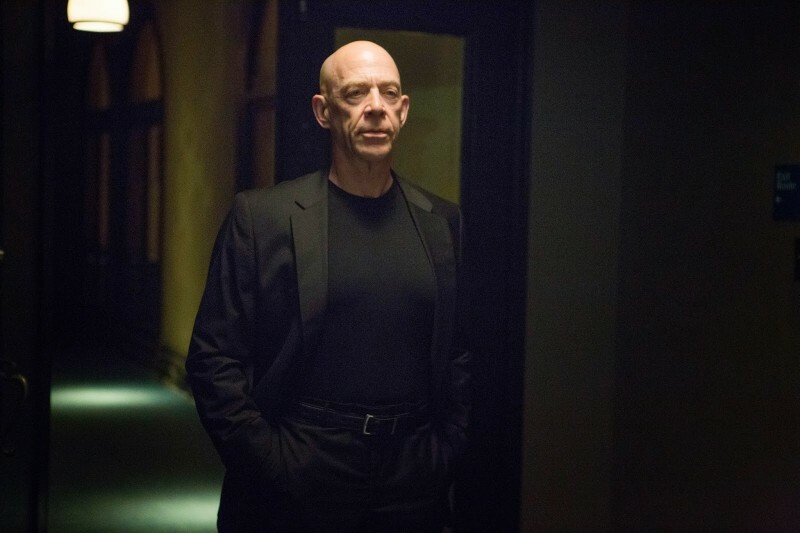 Defined by its smart dialogue and electrifying performances, Whiplash raises some tough philosophical questions about greatness, and just how far we should be willing to push ourselves to achieve it. Andrew Neiman's (Miles Teller) life revolves around the drums. Growing up on a healthy dose of Buddy Rich and Max Roach, Andrew has his sights set on greatness – and so far, Andrew has been successful in his ascent. Attending the prodigious Schaffer Conservatory in New York City, Andrew is second chair behind an upperclassman in one of the Conservatory's best orchestras. Practicing alone one night in a dark room, Andrew has a chance encounter with Terence Fletcher (J.K. Simmons) a notorious conductor leading Shaffer's best studio band. Prompted to play a rhythm far beyond his capabilities, Andrew fails his “interview” with the dismissive conductor. When given a second chance to play for Fletcher, Andrew does not disappoint, and is rewarded with a coveted spot in the exclusive band. Andrew quickly discovers why Fletcher has such a storied legacy, as the conductor leads his band with an iron fist, and a barrage of insults. Pushing his group far beyond what has ever been expected of them, Fletcher commands absolute loyalty, and an utmost perfection. 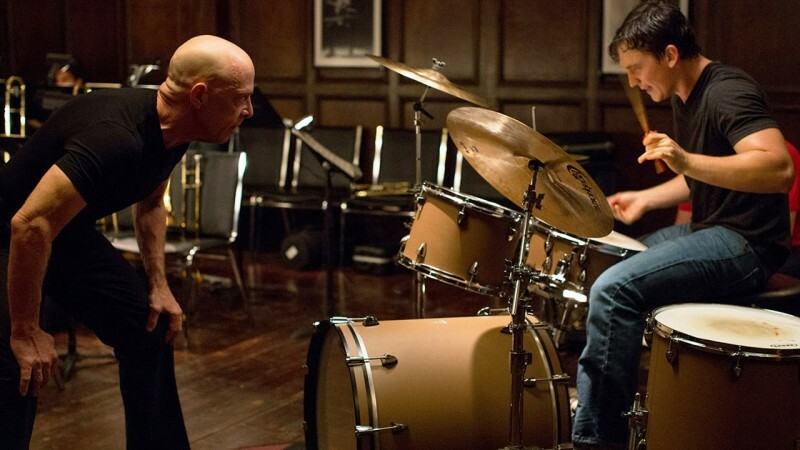 Whiplash is a stunning think piece on motivation and talent. While Chazelle's film recognizes that natural talent has a place in the world, true greatness can only be achieved through hard work and perseverance. Fletcher provides a plenitude of both, yet his methods are completely at odds with current American culture. Fletcher's abuse undoubtedly pushes his kids to a level beyond what they ever dreamed possible, but at what cost? Chazelle delicately juxtaposes the psychological effects of Fletcher's tormenting with the musical brilliance of his students to bring about an uneasy balance between motivation and indignity. Forcing viewers to credit Fletcher's violence with at least some of his spectacular results, boundaries between right and wrong begin to blur. Though deeply conflicted about the proper road to musical immortality, Chazelle is clear in his stance on greatness – it is lonely at the top. Andrew is enthralled with the brilliance of Charlie “Bird” Parker, a genius whose saxophone skills are the cornerstone of Fletcher's teaching, and his enduring legacy. Fletcher beguiles Andrew and his fellow players with the “story” of Papa Jo Jones throwing a cymbal at Charlie Parker, ultimately leading Bird to a daunting practice schedule and the pinnacle of his craft. Andrew does not care that Charlie Parker died alone in his hotel room, after years of heroin abuse, at the age of 34 – Andrew is completely blinded by Bird's enduring legacy, and the pinnacle of his artistic genius. Andrew himself has no problem forsaking his relationships for his craft. Ditching his girlfriend, the relationship he has with his father, and burning every bridge on his way to the top, Andrew is as monstrous as Fletcher; yet instead of victimizing groups of college students, Andrew's only target are his many, perceived, weaknesses. Damien Chazelle's conceptualization of Terence Fletcher unlocks a previously untapped primal animalism in J.K. Simmons – an apt mix of his brutally terrifying Vern Schillinger in HBO's Oz, and the unbridled sarcasm of his characters in Juno and Sam Raimi's Spider-Man trilogy. Fletcher's duality is what makes him so intimidating. Consistently luring you in with his kind and witty façade, Simmons' Fletcher is apt to explode with vitriolic rage, spewing obscenities, and inflicting physical pain. Oddly likable, Fletcher is an unstoppable force – the embodiment of motivation – unrelenting in his pursuit of perfection, and uncompromising in his methods. Teller does an admirable job at keeping up with Simmons' pure frenzy. Stripped of his usual charisma, Teller is forced outside of himself to inhabit the uncaring and singularly-minded Andrew. Willing to sacrifice his humanity for “power” Andrew grapples with self-acceptance and his own happiness. 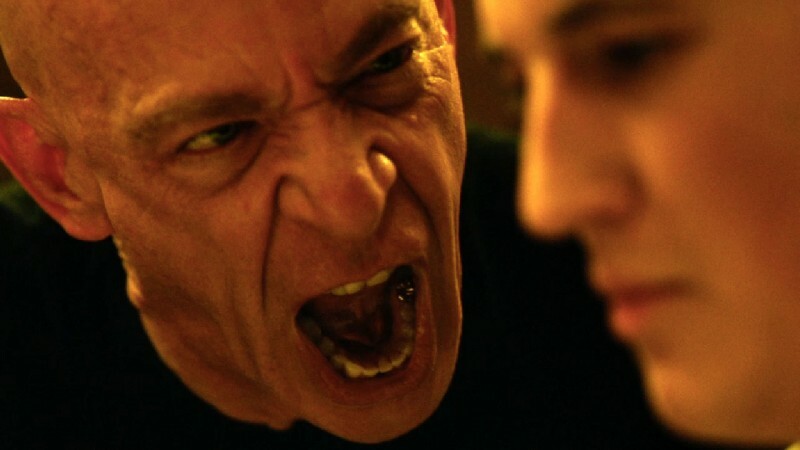 A fluidly obsessive meditation on the ascent to greatness, Whiplash digs to the very core of human endeavor. The essence of tension drips from every abrupt cut and close-up, building an immense pressure that is never quite released, leaving its audience breathless and knotted – stunned as the screen dissolves into quiet blackness. The Blu-ray copy of Whiplash comes with an exclusive featurette profiling famous drummers discussing their love of the craft, as well as the short film Damian Chazelle crafted in order to get his feature produced. Both the Blu-ray and DVD come with a commentary track from Chazelle, Teller and Simmons, highlighting the behind-the-scenes knowledge, as well as details of the production and performances. Another featurette comes standard, an interview with Teller, Simmons and Chazelle from the Toronto International Film Festival (TIFF).